Upgrade and downgrade issues, now you can get it's clear. 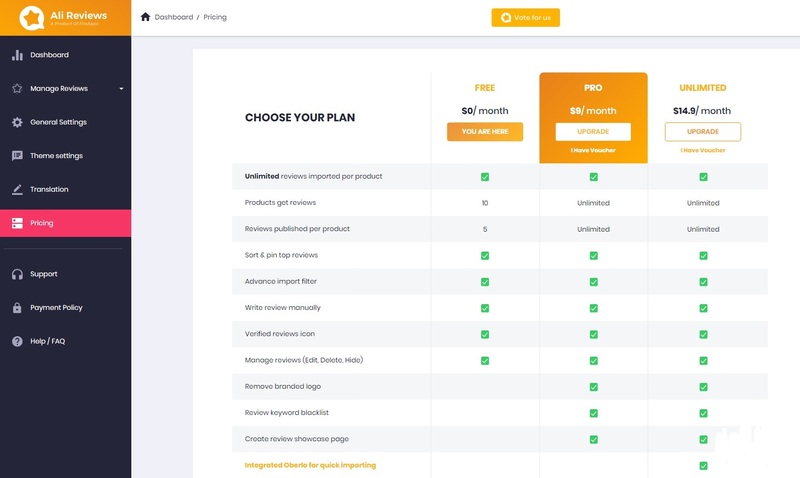 Go to Choose your plan and you will see 3 plans: Basic, Pro and Unlimited. If you want to upgrade, approve charge and all data will be kept, you can also experience the best features of Ali Reviews. *Note: Your data will be archived after the update of Ali Reviews on 15th May 2018.